Celebrating the 28 million customers milestone, Honda Motorcycle & Scooter India Pvt. Ltd. (HMSI) today further consolidated Honda’s equity as India’s fastest-growing auto manufacturer. The success of Honda 2Wheelers is attributed to the outstanding performance of Activa-India’s largest selling 2Wheeler and its new trendsetting youth motorcycles Livo, CB Shine SP & CB Hornet 160R. Over the years, Honda has rapidly enhanced its production capacity, its network across India along with the introduction of technologically advanced products across various categories catering to different types of customer demands specific to the regions. Launched amidst huge fan-fare at the Auto Expo 2016, NAVI has emerged as Indian youth’s most loved 2wheeler of 2016. 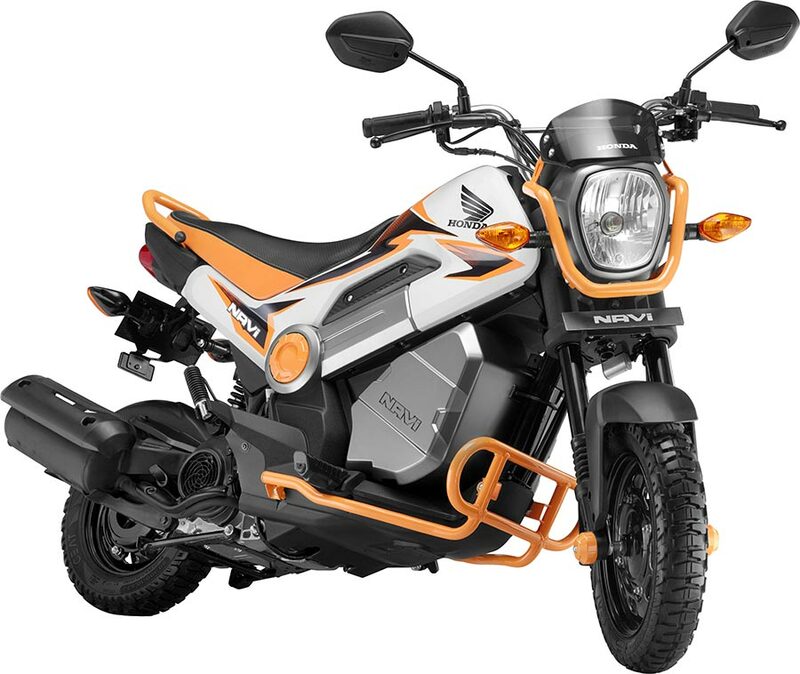 The most talked about two-wheeler launch of the year – Honda NAVI continues to receive an overwhelming response from the young customers, riding past 50,000 unit sales in just six months of its market availability. Honda has also recently introduced the much awaited stylish & high quality utility box to provide for the convenience of storage to NAVI riders. It is available as an additional accessory option. Honda has witnessed a commendable jump in sales over the years. Adding smiles at a faster pace where the 1st million came in 44 months of operation commencement in India, the acceptance and appreciation by customers helped Honda add last 4 million customers in a matter of just 9 months. India is the fastest growing economy in the world and one of the most important markets for Honda. With this vision of growth, today we have achieved a new milestone for our business in India. The journey to the 28 million milestone has been phenomenal. We are deeply humbled by the faith and trust that our customers have reposed in brand Honda. We thank our valued customers, business partners, associates, and all our colleagues at Honda for this remarkable feat. Honda 2Wheelers India is setting the pace of industry with its impressive 24% growth compared to the 13% growth of total 2Wheeler industry with it’s exemplary performance in the first half of fiscal 2016-17. Continuing to reinforce its position as both the Highest market share gainer adding 2% share to 26% market share in domestic +export sales (the only company in two-wheeler industry to add more than 1% market share) and Highest volume gainer of the Industry (alone Honda added 5,02,726 units – a phenomenal 43% of new industry volumes came only from Honda 2Wheelers India). Honda is currently running at full capacity at all its 4 manufacturing plants. Honda’s total production capacity is 5.8 million units – 1.6 million units (1st plant), 1.2 million units (2nd plant), 1.8 million units (3rd plant) & 1.2 million units (4th plant). With new speed, Honda 2Wheelers has expanded its touch points network to 4,800+ mark and will be adding another 500 touch points by the end of this fiscal. Aggressively expanding network footprint, with special focus on semi-urban and rural areas, we aim to cross 5300 outlets by current fiscal end. It has been an incredible journey for not only us but also for our 28 million loyal customers to whom we attribute our success. We have witnessed tremendous growth in the last few years and we are happy to keep pace with the progress. With NAVI, Honda has been successful in creating a new segment in the Indian 2Wheeler industry. The 50,000 units landmark in a matter of just 6 months is a testimony to it’s acceptance by the young trendsetting Indian commuters. We firmly believe customer experience and customer loyalty is priceless and their appreciation is an inspiration for all of us at Honda to continue to delight our customers in future too. Honda’s growth in India has predominantly been driven by Activa-India’s largest selling 2 wheeler and CB Shine which is currently leading sales volume in its category. In order to serve customers more efficiently and further strengthen its market share, Honda is now focusing on expanding its foothold in the rural and semi urban areas with rapid capacity expansion and introduction of new products across categories.